Three of drag racing’s biggest stars have joined the International Hot Rod Association (IHRA) professional competition advisory board, the sanctioning body announced today. They will work directly with IHRA president Mike Dunn. The new board members, Larry Dixon, Melanie Troxel and Whit Bazemore, have a combined 91 national-event wins and numerous decades of experience. The drivers will work with Dunn and various additional IHRA personnel to counsel the sanctioning body on competition-related issues. Among the areas in which they will work are class structure, formatting of the series and various racer-related plans and topics. Dixon, a second-generation racer, has three NHRA World Championships and 62 national-event wins, including four victories in the prestigious U.S. Nationals. Driving for the Rapisarda Automotive International team in IHRA Australia competition last June, he was both the No. 1 qualifier and winner at the City of Ipswich Winternationals. He will race in this weekend’s prestigious NHRA Gatornationals in Gainesville, Fla.
Troxel, another second-generation racer, is the only driver in drag racing history to win races in the Top Fuel, Funny Car and Pro Mod divisions. Nominated for two ESPN ESPY awards for Best Driver and Best Female Athlete, she has nine national-event wins and 25 final-round appearances. Bazemore brings a varied background, which includes being a still photographer, road racing in cars and motorcycles, as well as drag racing. Driving a Funny Car for his own team and later for nine-time IHRA winner Don Schumacher, he compiled 20 national-event wins, including two victories in the U.S. Nationals. The International Hot Rod Association (IHRA) is owned and operated by IRG Sports + Entertainment™, a TPG Specialty Lending company. The IHRA promotes professional and sportsman racing for drivers of all levels. The IHRA sanctions nearly 100 motorsport facilities in the United States, Canada, Australia, New Zealand and Bahama's and welcomes 80,000 racers annually to their IHRA-sanctioned facilities. 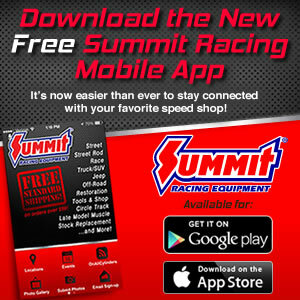 The IHRA oversees multiple sportsman racing programs including the Summit Sportsman National Championship and the Summit Racing Equipment SuperSeries. For more information, visit www.IHRA.com, or connect with us on Facebook.com/IHRAMotorsports, Twitter @IHRA or Instagram @IHRADRS.